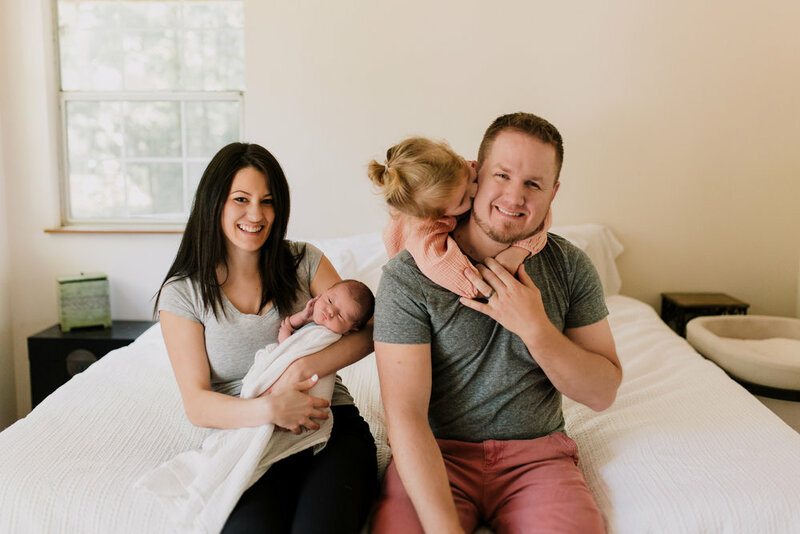 And then Jamie + Kyle + Emi became a family of four! Baby Brixton you little stud muffin. Emi had just come down with a really bad cold, so sadly we had to keep her contact with Brixton extremely limited. I knew that Jamie wanted a family picture with them all together, so we were able to get Emi to snuggle on daddy a bit to get them as close as possible. Poor Emi — she just wanted to hold her little brother + be lovey dovey. We got some very darling images (yay!) before needing to send her off to rest with the aid of a DumDum sucker to help cheer her up. We took a few breaks so Brixton could feed — then hit the game running for the rest of the shoot. 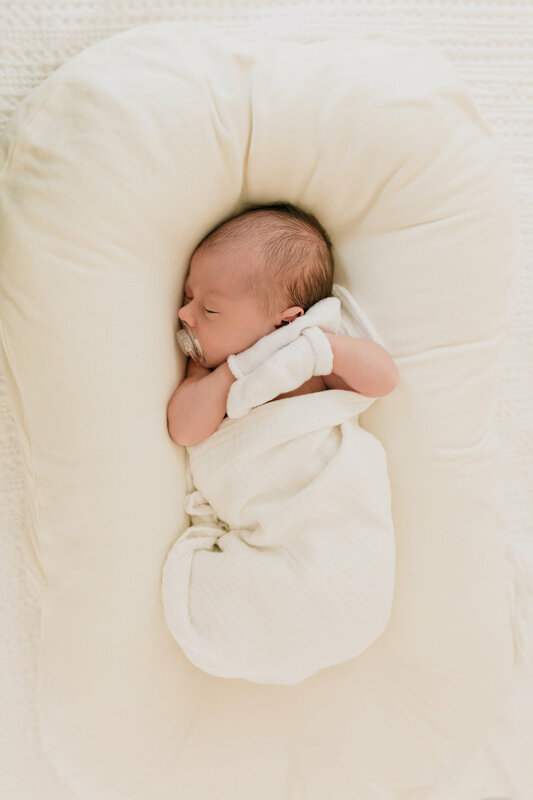 With newborn sessions, I don’t really put a time limit on how long they can take because it all depends on that new babe + what they need that day. Typically, sessions run about an hour and a half. I have had some sessions that run up to two hours, and twins do take about 2 and a half hours. But, I find that taking the time limit out of the equation, it removes a lot of the stress for mom, making the session as relaxed as possible — which is my goal. 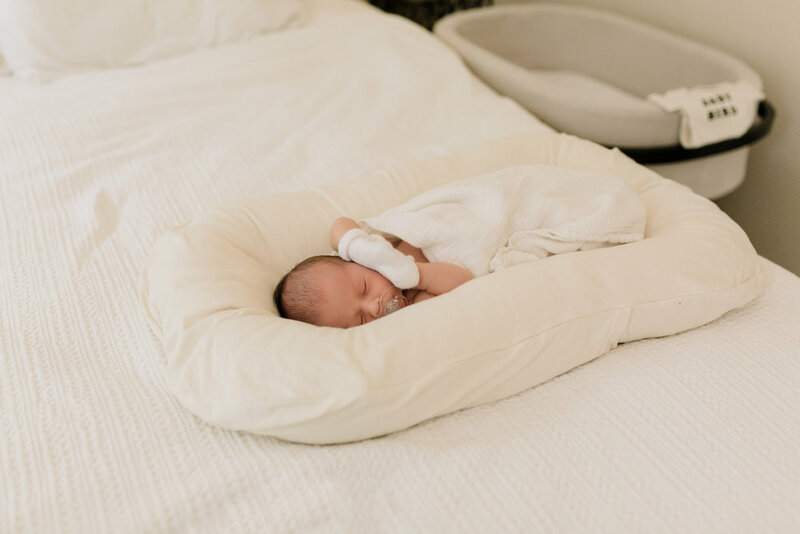 And I love how with lifestyle shooting, you can focus on all the little moments together + the focus is not all about if the baby will go to sleep or not. I am so excited to see Emi + Brix grow together… they are going to be quite the dynamic duo!